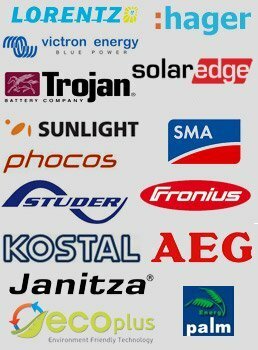 In order to use your electric equipment as efficient as possible, it is necessary to know any detail for the behavior of the consumption. In this way, energy losses are determined and the use of electricity can be optimized. You can operate more efficiently by measuring all electrical data and by the proper Energy Management based on standard ISO 50001. The network analyzer offers advanced analysis functions, which makes it possible to effectively measure the main single-phase or three-phase electrical quantities: voltage, current, frequency, power factor, active and reactive power, active and reactive energy. Due to the charging tariffs that incorporate an efficient energy management is capable to conserve power. 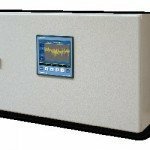 With the installation in low and medium voltage, the analyzer makes it possible to measure in real time, while checking the quality of electricity thanks to the measurement of total harmonic distortion (THD-Total harmonic distortion). Bi-directional measurement of energy and power in all 4 quadrants enables monitoring of both production and consumption of energy, with a single device. Besides optimizing the use of loads, measuring in real time helps to reduce both environmental impact and expenditure. 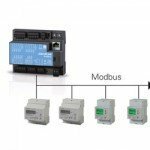 All data collected by the analyzer can be quickly transmitted to remote locations, through specific communication interfaces – RS485 or RJ45, with the support of several protocols, which include the Modbus RTU, Modbus TCP / IP and Profibus DP. 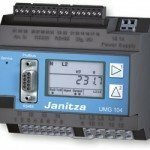 The company Vascon Solar Experts Ltd in collaboration with NN Control Panels Ltd can supply and propose solutions with products of German brand «Janitza».